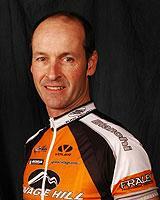 Favorite Ride: 1: Riding up Alpe d'Huez in 2005. 2: Sucking Paul Stock's wheel for the past five years. Thanks Paul! Favorite Quote: Life. I believe what I said yesterday---I don't know what I said, but I know what I think, and, uh, I assume it's what I said.